Iran says it has sent a monkey into space for the second time, representing the nation’s latest step toward sending humans into space. Iranian President Hassan Rouhani tweeted about it Saturday. 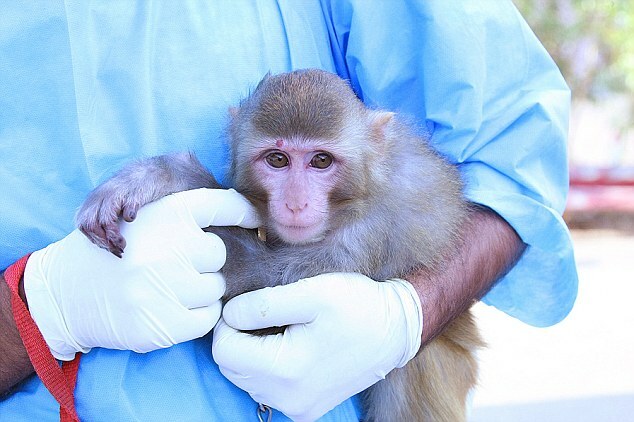 “In total, this is the 2nd monkey sent into space & returned in perfect health to #Iran. I congratulate the Leader, scientists & the nation,”Rouhani said. The launch was part of the nation’s national Research Week, Iranian state news agency IRNA said. The monkey’s name is Fargam, a combination of two Farsi words “auspicious” and “luck.” Fargam was launched 75 miles (120 kilometers) up into space and back in the 15-minute mission, IRNA reported. Iran made a similar announcement in January, saying then that it had launched the first monkey into space, strapped snugly into a rocket, and returned it safely to Earth. That announcement was met by skepticism by some.